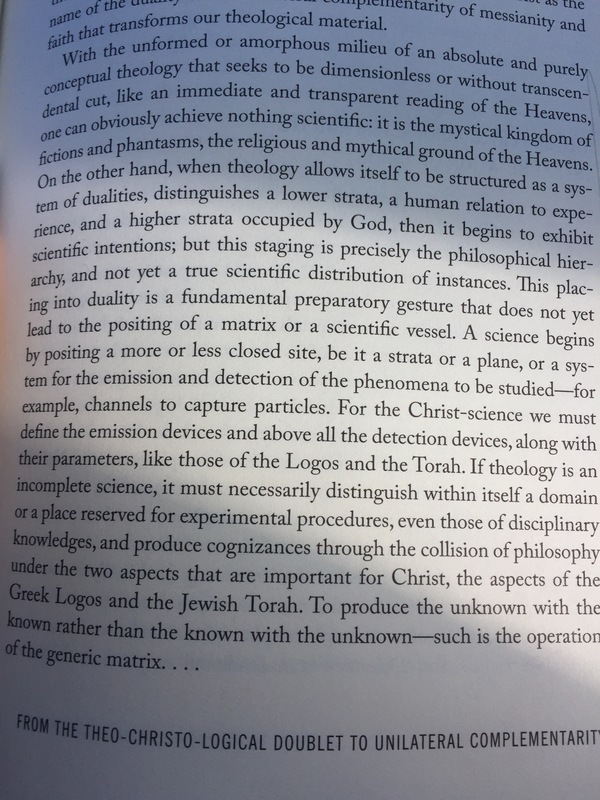 The Proposal of Science of Philosophy, and the Partition. I have said as much that the only Way we could have a science of the type we are talking about (as i have recent posts a few ago) is to establish a partition. I speak about this partition in a few ways but they all really indicate the same basic situation. Here I mean to indicate it as an initial gesture, or as a necessary preliminary step, which involves an admitting of certain type of agreement, but all of which really coalesce in the development of a fact, what we could call a philosophical fact, but more, once we really understand the situation at hand, what we must call an object. And this is to say that we should see what science does and how it proceeds; despite what subjective bias might be involved in the procedure of what we call science, we should really see that science does not question it’s object. It does not bifurcate itself upon itself, and by this we also notice that that is the problem of philosophy, The reason why there is such antagonism to developing a science of philosophy, so to speak, of the phenomenal subject — it’s because philosophys whole point is based on a subjects intuition of objective material of which is the perpetually argued over in the space allowed through a transcendental agency. But I don’t so much propose that the methods of this philosophy are wrong or incorrect as Larueele wants to say; I merely say that such philosophy deals in real things. A closed site: A space found through the erection of a partition. Previous Star Wars and philosophy, part 3: Entry into non-philosophy? Next C.S.P. New Album out soon!